Driving past a construction site yesterday, I was amused to see the advertising hoarding erected by CapitaLand. With the slogans "When we build buildings we build people too", and "CapitaLand - Building People", it is a thought provoking sign. We have all read about the severe over building that has led to a housing glut in Singapore. Apart from prices, which have barely moved in the face of government cooling measures, there is an imbalance between demand and supply, with more than 16,000 vacant units for sale. 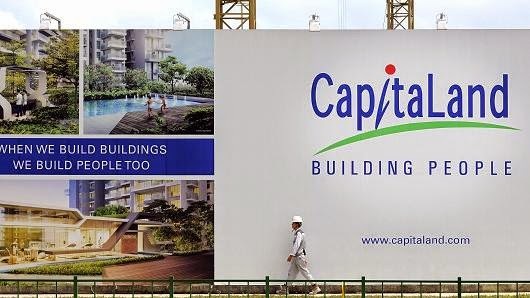 Enter CapitaLand, a government-linked real estate developer. With all the out-of-box-thinking so beloved of government ministers, CapitaLand has managed to find a solution to the problem of over supply. Build people. What genius! Instead of waiting for customers to show up, just build your own. Presumably this solves the immigration problem as well, since all the new people being built will be Singaporeans.